Today is 420, National Weed Day. The unofficial day to celebrate marijuana. If it’s your thing, so be it. I’m not here to judge. But plenty of people are now judging the motives of Snapchat. 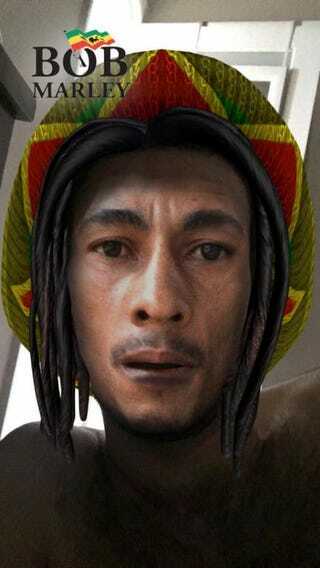 In honor of 420, the popular video app added a Bob Marley filter to its lineup. Yes, because apparently Bob Marley signifies marijuana usage. And the filter is in blackface. Perhaps the people behind Snapchat are high? It’s the only obvious explanation for this mess. Give it a couple of hours; I’m sure the apology will roll in.